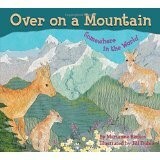 Marianne Berkes continues her great series with this book that introduces 20 different animals that live on ten different mountain ranges on seven different continents of the world. 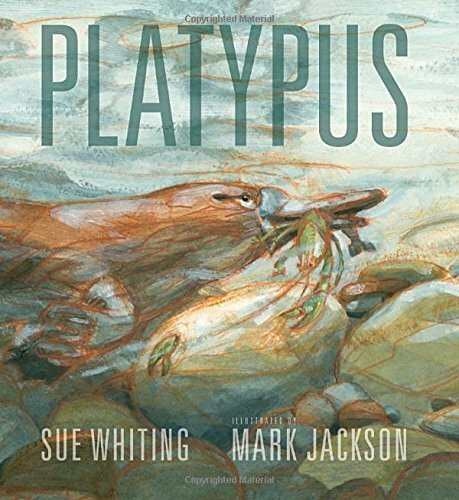 This book will make teaching geography fun and easily fulfills the core curriculum standards for elementary literacy skills, math, and geography. 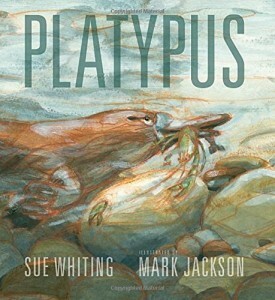 It will be a wonderful addition to your school, classroom or home library. Readers can count the animal babies, and read the numeral on the page, or vice versa. Likewise, they will enjoy the natural rhymes of the story and sing a song they already know with different words. Besides all that, they can identify the continents and animals that live on each. The cut paper illustrations are realistic enough to jump right into. Readers of all ages will be tempted to make their own cut paper illustrations. This is a book that just keeps on giving. The end pages have tips from the author as well as tips from the illustrator so readers can try out the techniques on their own. 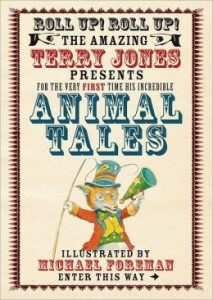 That is on top of all the added detailed information about the animals included in the book. A particularly helpful section in the end pages deals with what parts of the book are facts and which fiction. These are decisions always difficult for young readers to distinguish on their own. Facts about mountains and suggestions about how to compare and contrast are added benefits as well as suggestions for further reading. 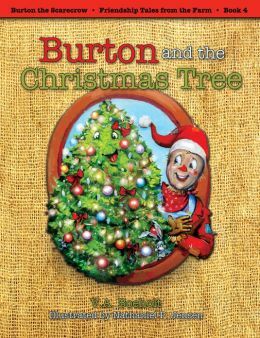 While the youngest readers might not grasp everything in the end pages, older students will soak up everything this book has to offer. Patterns exist in the natural world, not easily divided into categories like circle, triangle or square. What are we do make of them? Things like branches in trees or bolts of lightning? A mathematician named Benoit Mandelbrot noticed similar patterns in natural shapes. The kinds of shapes that make the fronds on a fern also continue to make the whole fern. The same can be said about the development of broccoli or branches on a tree. The beautiful photographs in this book as well as the simple, yet clear diagrams make it easy to see the patterns described. The afterword about Mandelbrot also tells readers that fractals are how the wiring of the Internet works and would be necessary to make something like Harry Potter’s invisibility cloak to work. 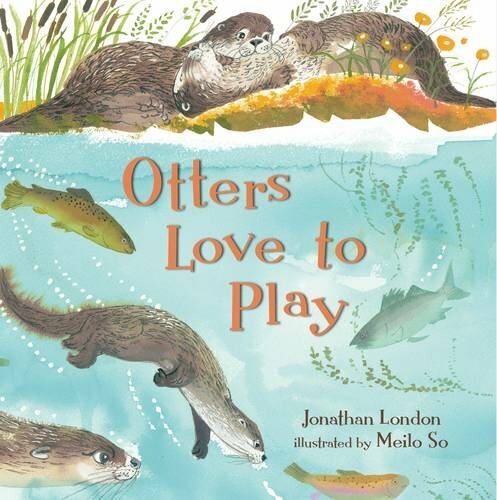 This beautiful book is a fantastic way to interest readers in mathematics, science and the natural world. Third grade readers will be able to read it on their own. Teachers and librarians will find it useful in fulfilling the core curriculum standards as well spring-boarding a student’s interest far and beyond anything they considered up to this point. 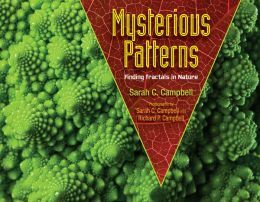 Art teachers can use this volume to entice students to think about using fractals in their artistic endeavors. What a wonderful book this will be in every school library! The third installation of the “The Sherlock Files” has the great-great-great grandchildren of Sherlock Holmes racing around London, literally racing against time. Their friend, Karim, is trying to find an Egyptian artifact before a certain date. The amulet is supposed to be able to stop time every fifty years, and the date is quickly approaching. Karim knows of their renowned ancestor and their past casework. His grandfather has told Karim of his ancestor, who hid the amulet. They begin only with the grandfather’s story and notes Sherlock left in his unsolved casebook. 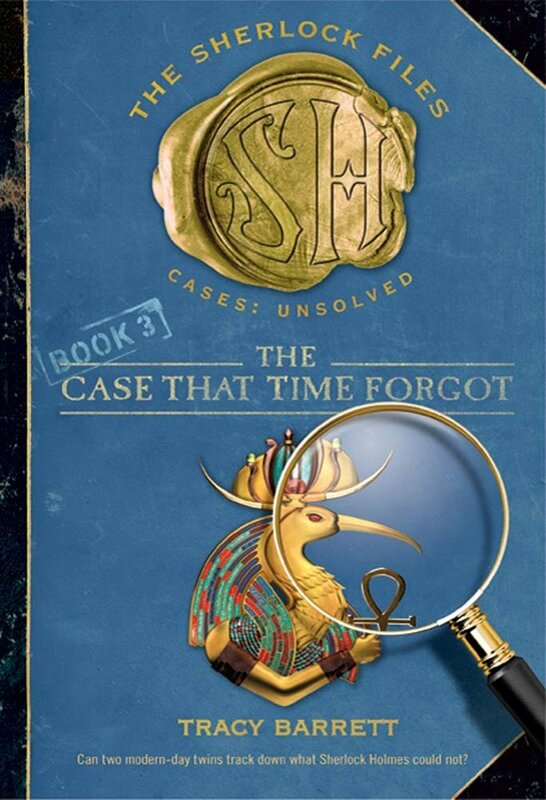 They have plenty of help from the Society for the Preservation of Famous Detectives (SPFD), but they are hindered by someone who seems determined to get to the amulet first. Their search takes them to museums and the clock tower of Big Ben. 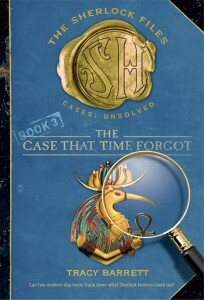 Can they find the amulet in time? Will it stop time if they do? This book holds much fun for third graders getting heavily into chapter book series and developing their comprehension of language in general. The concept of pictographs, for example, should increase their understanding of written language. An excellent interview with the author and excerpts from another book are included. 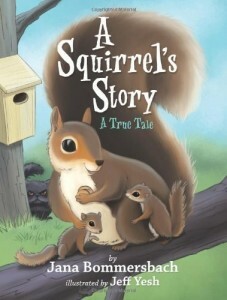 It was named a 2011 Bank Street – Best Children’s Book of the Year. 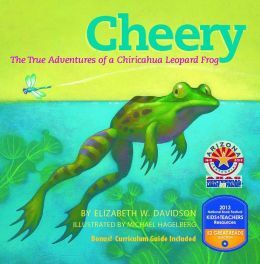 Written by Elizabeth W. Davidson, Ph.D.
Cheery is a Chiricahua (Cheer-a-cow-ah) Leopard Frog. In his own words, he shares his life with young readers starting at the beginning when he’s just an egg floating in a pond. As he grows from a tadpole to a full-grown frog, he swims and eats and sings songs all night long with his fellow Leopard Frog friends. But Wise Old Frog warns Cheery of life’s dangers. Invasive crayfish and bullfrogs not only cause diseases, but often feast on Leopard Frogs. After one winter’s hibernation, Cheery wakes to find most of his friends gone. What happened? He learns that many frogs got sick or fell prey to the invasive creatures. Cheery’s loneliness turns to confusion as he is caught in a net, put in a bucket, and whisked away to a strange place. However, upon hearing the familiar call of other Leopard Frogs, he feels safe. Now at a zoo habitat, Cheery and his friends have plenty to eat and can repopulate without the threat of danger. When they are a full family again, they are moved back to their old pond to swim and eat and sing. 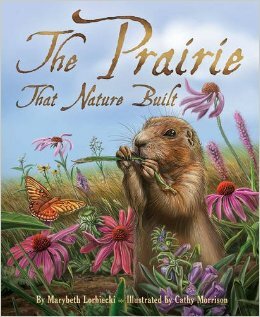 This book hits just the right notes for third grade readers, leaving them feeling encouraged and hopeful. The disappearance of the Chiricahua Leopard Frog is just one example of the many frog species that are endangered or extinct. The author, a research scientist at Arizona State University, provides extra information on amphibian decline and the importance of frogs to our ecosystem. A curriculum guide is also included and offers reading strategies and questions for the classroom. Additional materials can be found on the publishers website: www.littlefivestar.com. Author: Elizabeth W. Davidson, Ph.D.